On the heels of the MOO COW BOOK and MY PUPPY BOOK comes a new animal book for a child's growing farmyard: THE PIGGY BOOK. 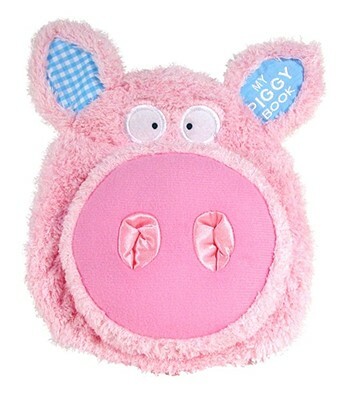 With soft plush and a squeaker that squeals like a pig, this adorable snuggly story about a pig who eats -- what else? -- a chocolate chip cookie--is a delight for parents to share with children.